XJet has launched the Carmel AM System product line, comprising the Carmel 1400 and the Carmel 700 AM systems. Featuring the company’s patented NanoParticle Jetting technology, the XJet Carmel Product Line is poised to transform the metal and ceramic additive manufacturing industries by printing separate nanoparticle “inks” or fluids for the build material and the support material. This allows manufacturers to produce ceramic or metal parts with the ease and versatility of inkjet printing. 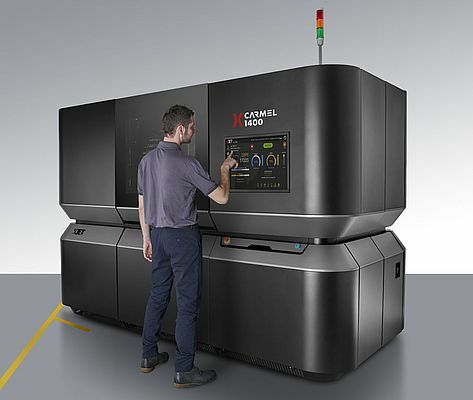 The XJet Carmel 1400 features a 1,400-square cm build tray, one of the industry’s largest, for high-capacity production and a unique ability to print both ceramics and metals.